Becoming Disciples affirms that the canon was formed as it is in order for God to speak to us. This study gives equal time to both the Old and New Testament, emphasizing the wholeness of the Bible as the revelation of God. It aims at transformation, not just information, and calls on persons to submit themselves to examination by Scripture, to put themselves under the power of and be changed by God’s Word. 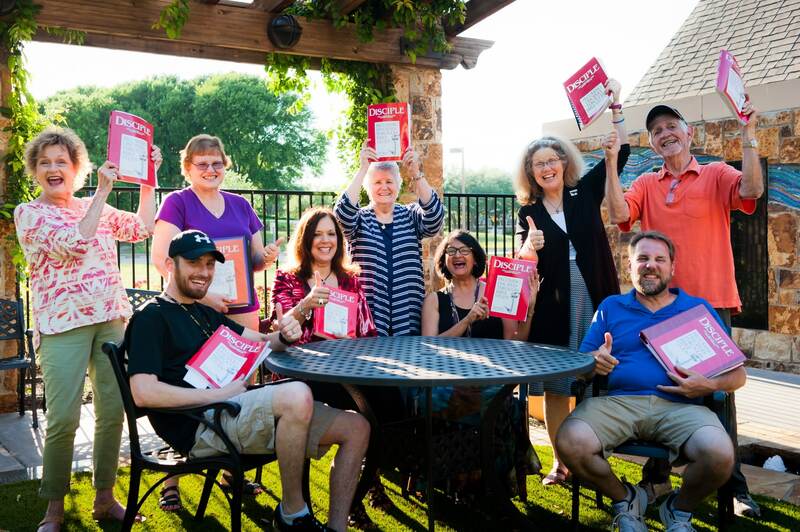 Disciple Bible Study is a high expectation class that explores the power of the bible to change our lives and invites students to become more committed disciples. This year we are offering an updated version of Disciple I. Beginning this fall, Disciple 1 classes will use new materials that are designed for 24 weeks of study. The FAST TRACK version offers the same focus and in-depth understanding of Old Testament (fall) and New Testament (spring) readings. The videos are all new and the content has been streamlined for easier reading and study. This course requires personal commitment to time, study, and prayer before sessions. Join Mally on Wednesday mornings or Wednesday evenings as she leads you into a deep study of the Old and New Testaments. Each class builds on the previous one, so Disciple I is a prerequisite for Disciple II, III and IV. Disciple studies are an in-depth study experience where participants commit to about 30 minutes of daily preparation along with weekly attendance. Classes will begin September 12 and run through March, 2019. Registration opens only once a year, so don’t miss out on this annual opportunity and register below now. Cost is $42 per participant to cover cost of materials. In addition, Disciple III is offered on Tuesday mornings and evenings, taught by Phyllis Tippit.